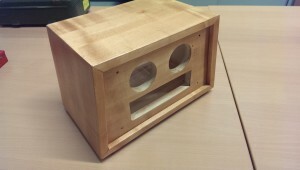 A small mechanics project occupied me this time. It is again about a hot air engine. 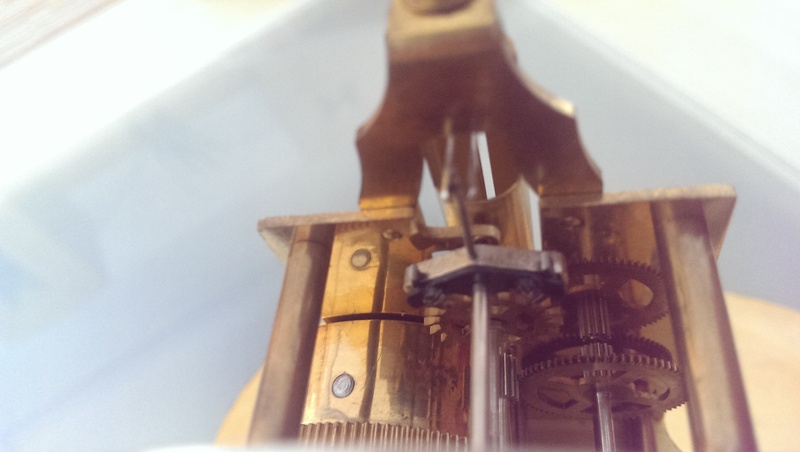 This time not about the Stirling engine, but the so-called “flame eater”. During the search in the World Wide Web, I found, among other things, the website of Mr. James Maiwald. Mr. Maiwald is an ambitious modeler and specialist in the field of Stirling and vacuum engines. 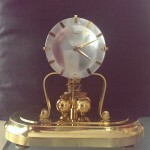 He develops and manufactures his own models in all variants and also offers them as a kit. 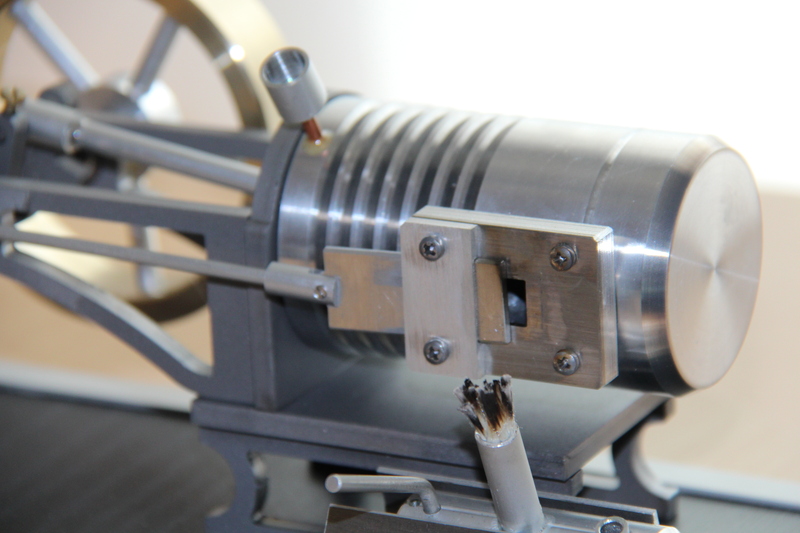 More precisely, it is a vacuum motor, which is popularly also called a flame eater. 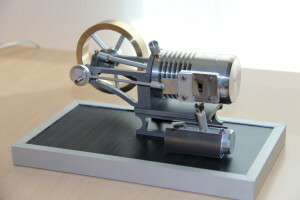 He is one of the hot air engines, but unlike the Stirling engine is an open system. 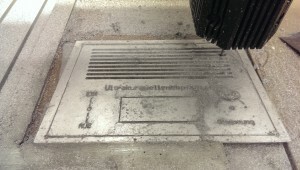 Now that the front panel is milled, it can be cleaned and the engravings are provided with black paint. 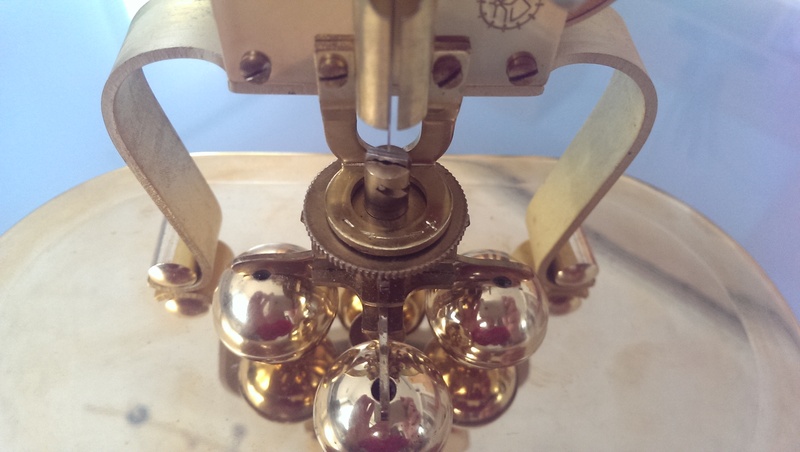 After the varnish has dried in the indentations of the engraving, the supernatant paint is removed with solvent. Now the entire panel could be painted with clear lacquer. While the paintwork on the front panel is drying, it’s time again for the wooden cabinet. The mounting holes for the boards, speakers, etc. were drilled and then the wood was embedded with a slightly darker wood stain. 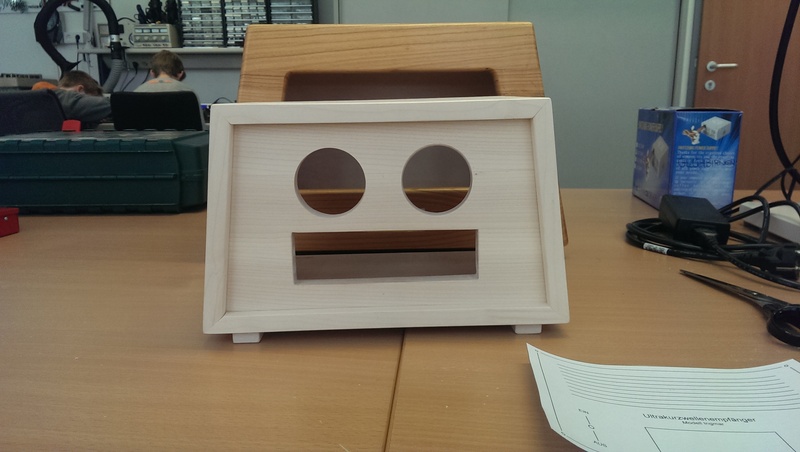 After drying, the wooden case also gets a clear coat. 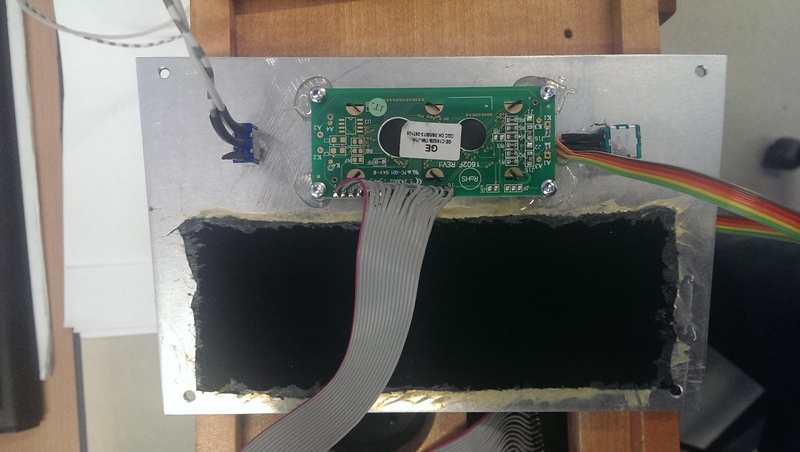 In the next step, the operating elements (switches and rotary encoders) and the LC display are attached to the front panel. The milled webs for the speaker panel are covered with black fabric. (For the fabric had to serve a T-shirt). The painting of the housing dried about a day. Now you can start mounting the speakers and the board. Die Platine wird mit Abstandhaltern am Gehäuseboden verschraubt. Now a suitable power supply is missing. 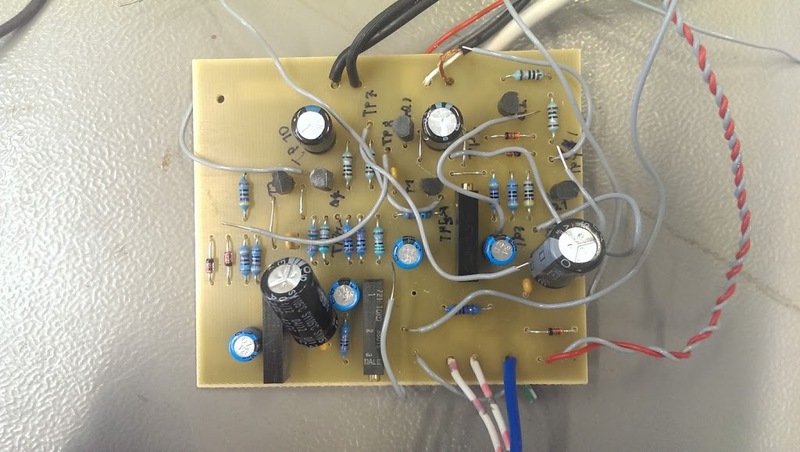 For this purpose, a small power supply was built, which consists only of an iron core transformer with subsequent rectification, smoothing and voltage stabilization with a LM7809, ie 9V DC. 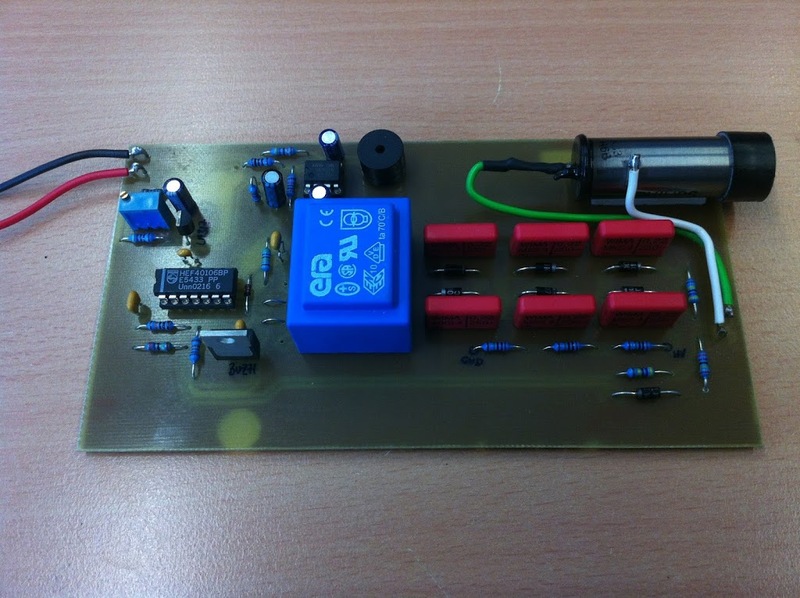 For this, a small board was made (about 5x8cm) and also built into the housing with spacers. Now that everything is assembled, the amplifier metrics and levels are again set and optimized with signal generator and oscilloscope. 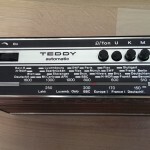 From the years 1970-1972 the radio receiver TEDDY AUTOMATIC 100 comes from the German manufacturer ITT – Schaub Lorenz. 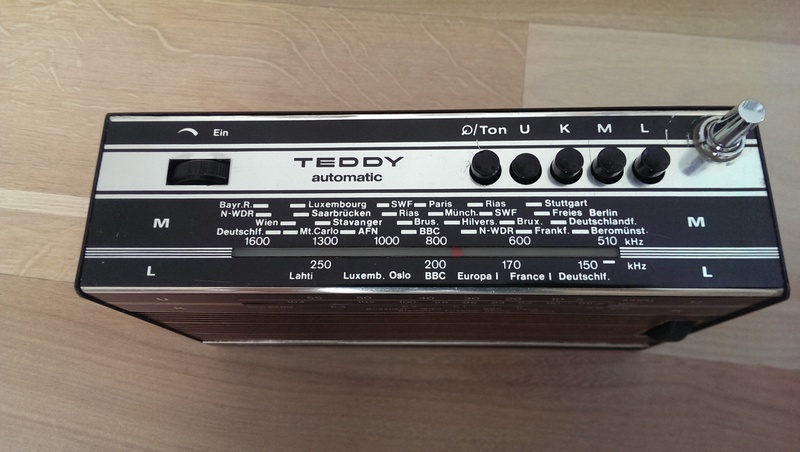 It is a multi-band receiver that covers the wave ranges of long wave, short wave, medium wave and ultrashortwave. 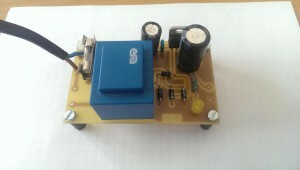 It is designed for mains and battery voltage (110-127V / 220-240V and for battery operation for 4×1.5 volt size AA cells). 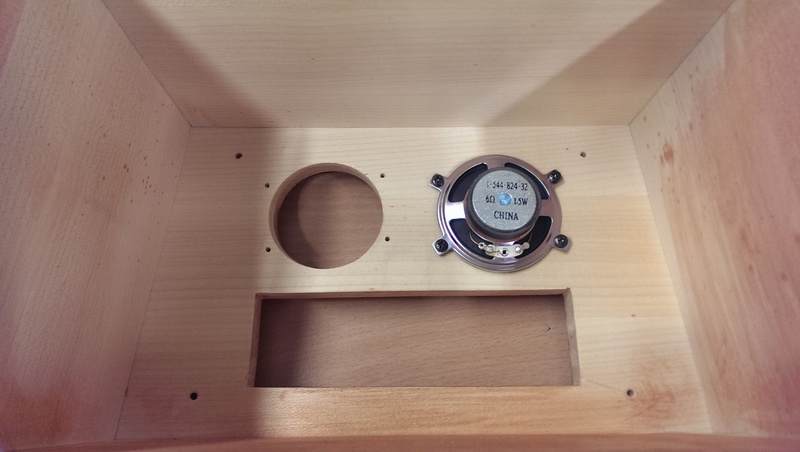 The output power is 0.8 watts and is transmitted with a dynamic oval speaker. 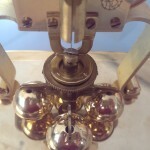 The technical structure according to the manufacturer consists of 6AM circles and 9FM circles. 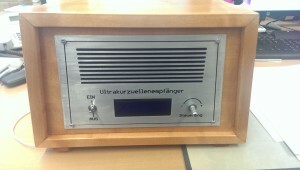 The receiver principle is a SUPERHET with ZF 460kHz and 10.7MHz. The housing is made of plastic (thermoplastic) and has the dimensions of 215x127x70 mm with a weight of 1.2kg. 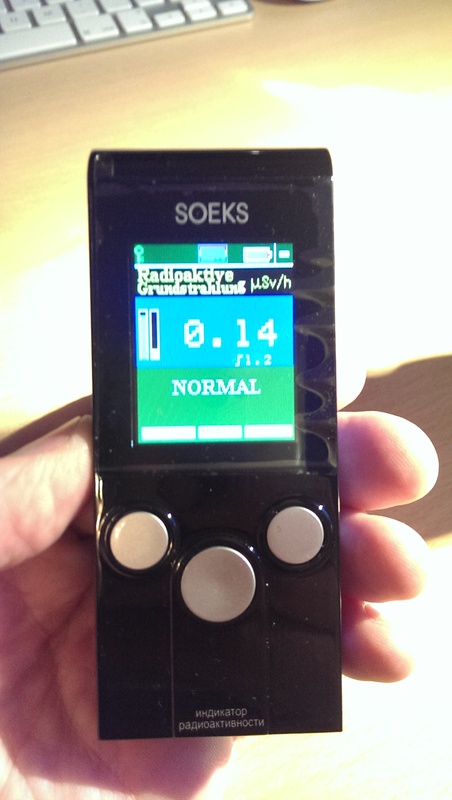 After the self-made Geiger Müller counter and the associated experiments, I noticed that there is one or the other radioactive element in our environment. 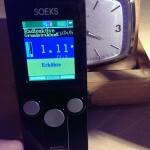 With the SOEKS 01M Geiger counter, an industrially manufactured device, I have now again “scanned” objects in the area. 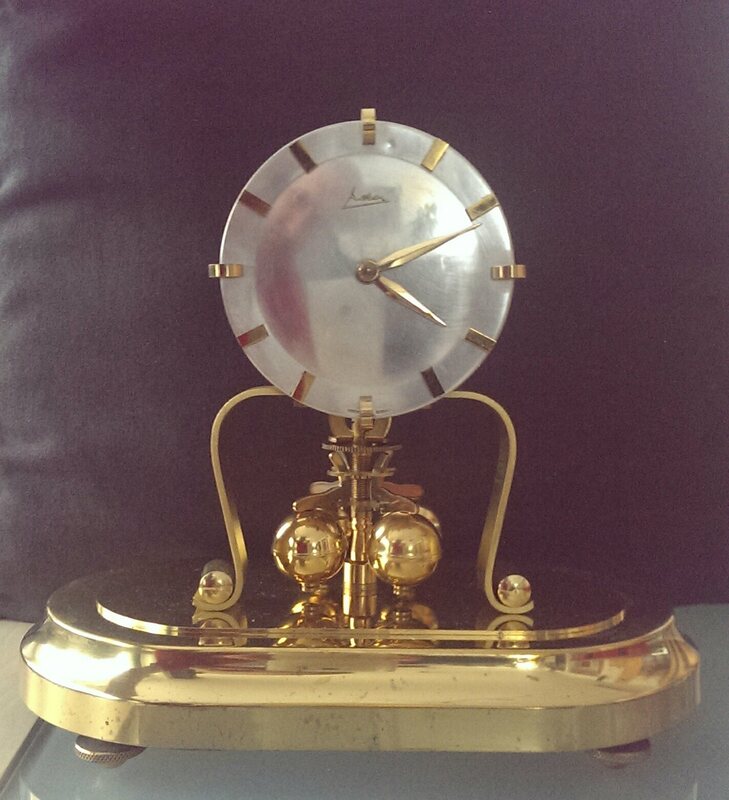 Again, I realized that some of the old clocks in my collection are equipped with radium-painted dials. 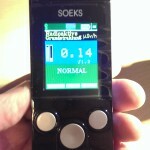 The SOEKS shows here a radiation exposure of about 1.11 microSievert per hour. The environmental load is displayed at approx. 0.14 uSv / h.
But in my mother’s kitchen, I found a beautiful, colorful old vase that displayed about 10uSv / h. (The thing is now in the far corner of the cellar). In the last two days we received a visit from two young gentlemen from the fourth year of the Villach High School Sankt Martin. Mr. Martin Ungermanns and Mr. Fabian Treu came to us as part of a “taster program” of the middle schools. 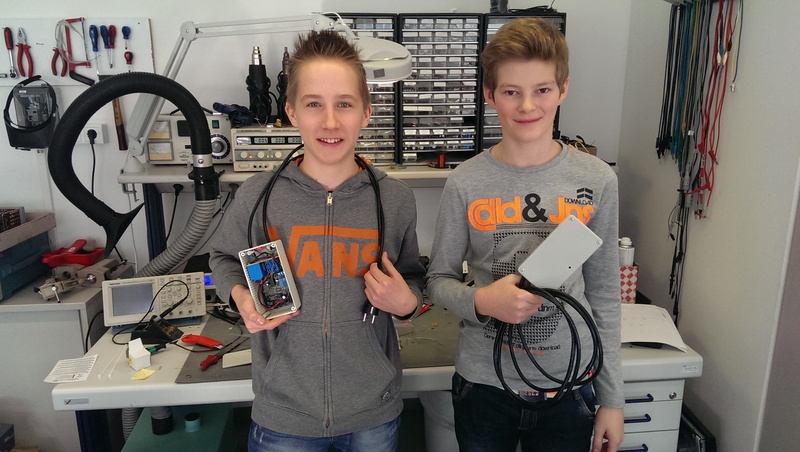 The two students can participate in the “world of work” and get some insights into the technology. The program included work such as assembling and soldering of electronic kits (the well-known shaker cube), a small series work (flashing of PIC microcontrollers), exposure and etching of circuit boards, milling of aluminum plates. 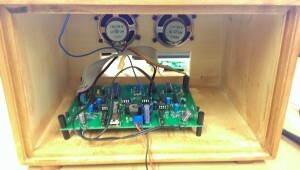 As conclusion of the two taster days both high school students were allowed to build up a complete “device”. 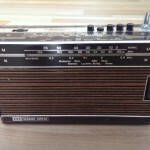 Jetzt kann das Nostalgie-Radioprojekt wieder einen Riesenschritt nach vorne machen. The case is on our table. 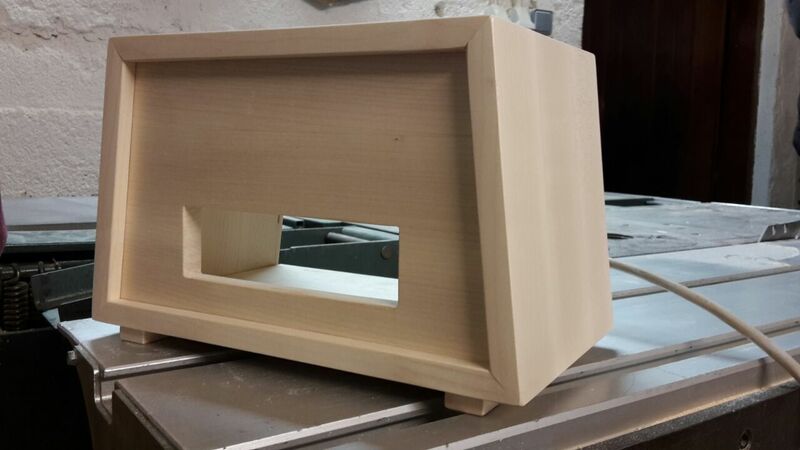 First, the holes for the speakers were drilled. Later these should be covered by a milled aluminum panel. So the next step is to construct the milling data for the front panel. Here again the layout tool “Eagle” is used. 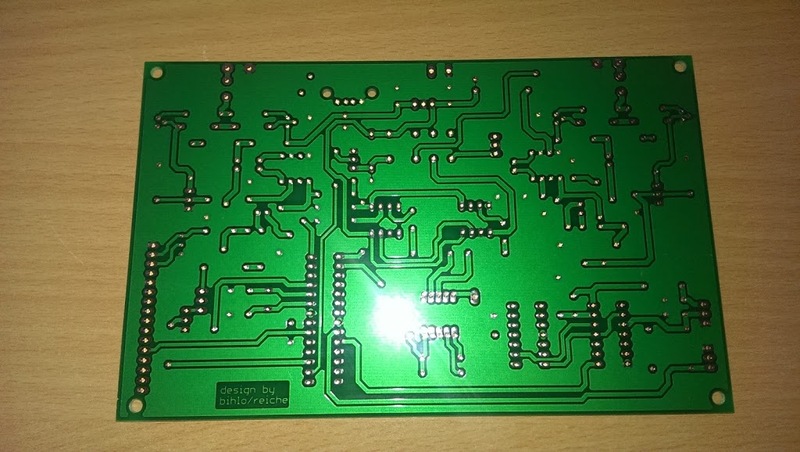 The data can simply be exported as a “.dxf” file and imported into the circuit board plotter software. 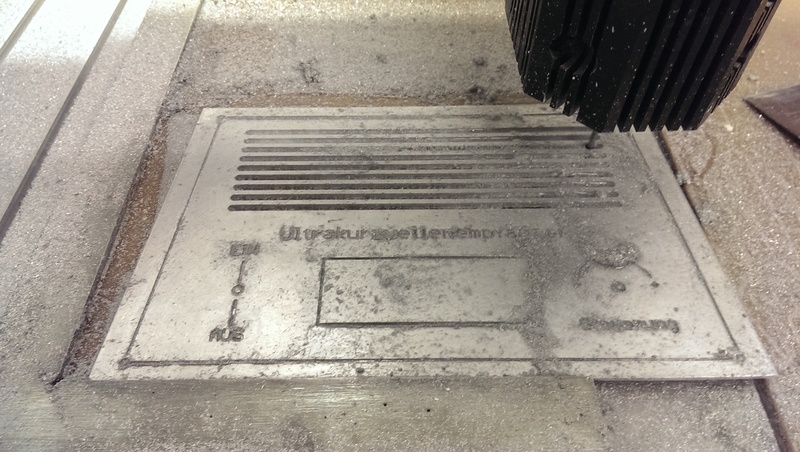 Barely a few minutes, I went to the circuit board plotter, imported the production data, clamped the “two-cutter cutter”, of course, the aluminum blank and off we went. The speed for the 1mm cutter I have chosen with 60000 rpm and set the feed rate to 1.5mm / s in both axes. Cooled and lubricated was the way with alcohol. 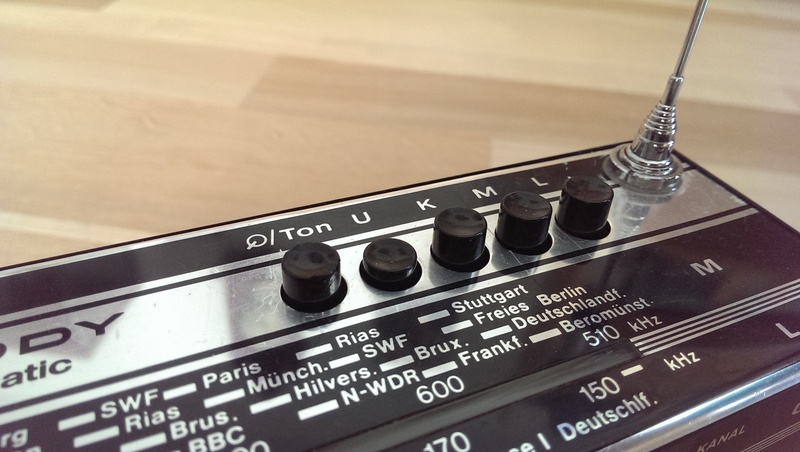 … to realize the volume control via the microcontroller, a “digital potentiometer” X9C102 was simply used. It is controlled directly by the controller with a “direction input Up / Down” and a “count input”. Internally, this IC consists of 100 resistors connected in series whose “tap” is determined by counting input. So a simple matter to control the signal level of the preamplifier in 100 steps …. The outputs of the decoder logic are now passed directly to three microcontroller inputs. Thus, now a suitable program can be created, which provides a simple menu-driven user interface. The parameters are displayed on a two-line LC display. 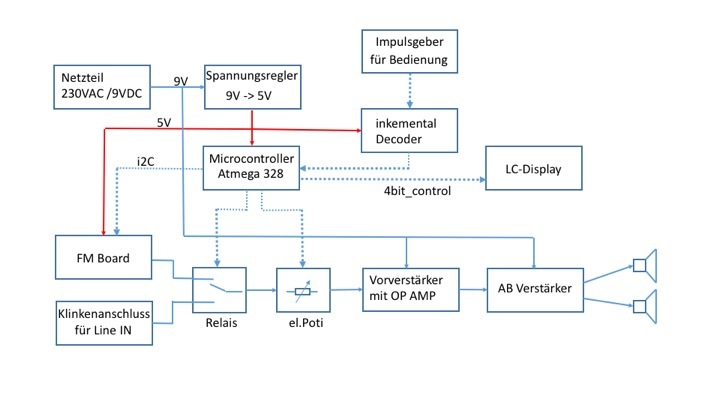 The outputs of the controller, in turn, control the “digital potentiometers” for the volume setting and, of course, the I²C bus, which sends the commands to the FM module. 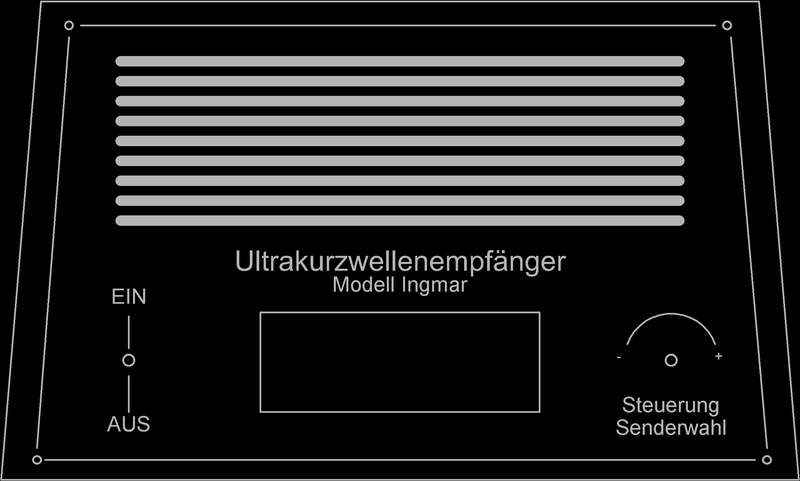 An additional output allows the switching of a relay, with which, for example, the audio input from the amplifier can be switched between the FM module and an external signal source. The LC display is connected to the controller in 4-bit mode and the backlight of the display is also switched by the controller. After all these functionalities had been defined, we were going to transfer this information to the Layout Tool or the schematic. Finally, a layout was drawn and made. 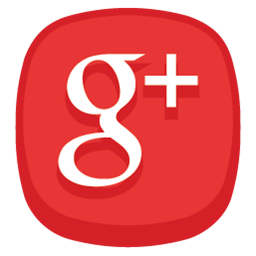 Subsequently, we could start with the assembly of the board and then carry out the first commissioning. 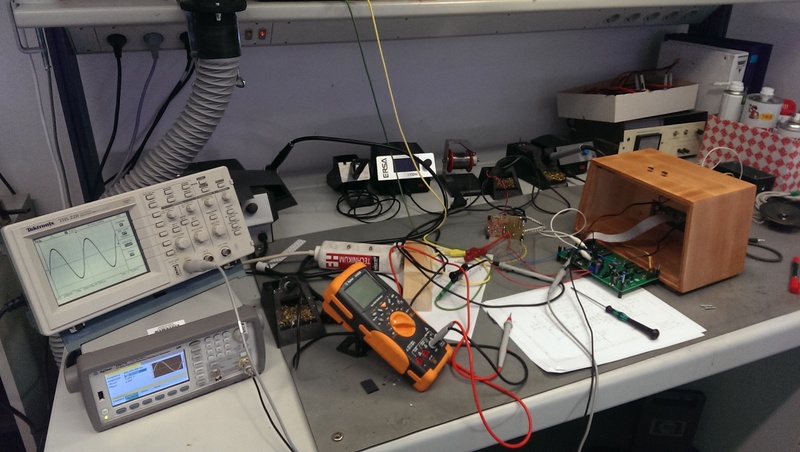 After the adjustment of the amplifier quiescent currents, the development of the Arduino code began. Here, the work is extremely facilitated, since there are many finished libraries here, which can be used directly for its purposes. 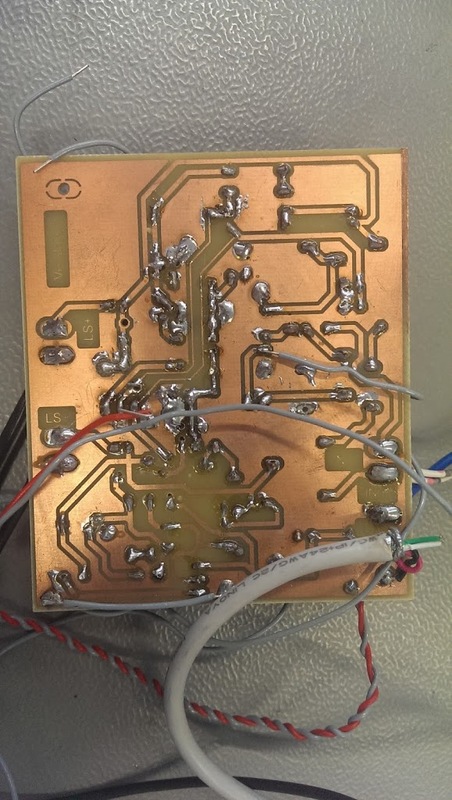 For example, the only challenge with getting an LC display up and running is to connect the few wires to the uC (microcontroller) and pinpoint the pins in the code. Everything else is done by the library. 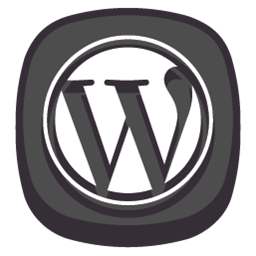 With this simplification, the functions are then implemented quickly and the first test run can begin. 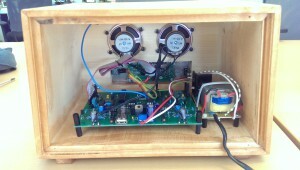 A project idea that came to my mind as an ideal apprentice project is to plan and build a radio receiver. With this project, our apprentice should apply the acquired skills in a practical way and set up an FM radio receiver according to the components to be used. First, a simple class A audio amplifier should be built. The apprentice should build the amplifier according to the circuit on the breadboard, metrologically examine and understand above all. 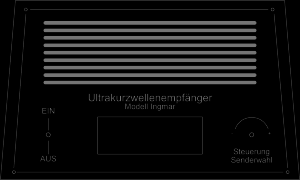 In the next step, the Class A amplifier became a Class-AB amplifier. Again, the task of the apprentice was to understand the operation and optimize the breadboard function pattern so that a (not metrologically) at least reasonably “good” acoustic result was achieved. When this succeeded after some time, he got the task to transfer the determined circuit into a layout tool and expand it to a second channel, while also creating a power supply concept. The power supply should not only supply the amplifier output stage, but also for other components (such as microcontrollers, USB interfaces and what ever came to mind) a + 5V and + 3.3V DC supply available. After many layout designs, he then presented me with a layout in which the components were symmetrical and technically reasonable (Trimmpotis should be accessible …) were arranged. So he was allowed to make the layout as a functional sample. (etch the board, populate it and try to get it all working). The learning effect was gigantic: D, because in the implementation of theoretical circuits to a simple breadboard construction and then to the “printed” circuit on the print, there is a lot of sources of error. And they also want to be found and corrected. Our trainee was able to practice patience and precise work. 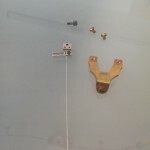 Now it was time to think about the signal source, the actual receiver. 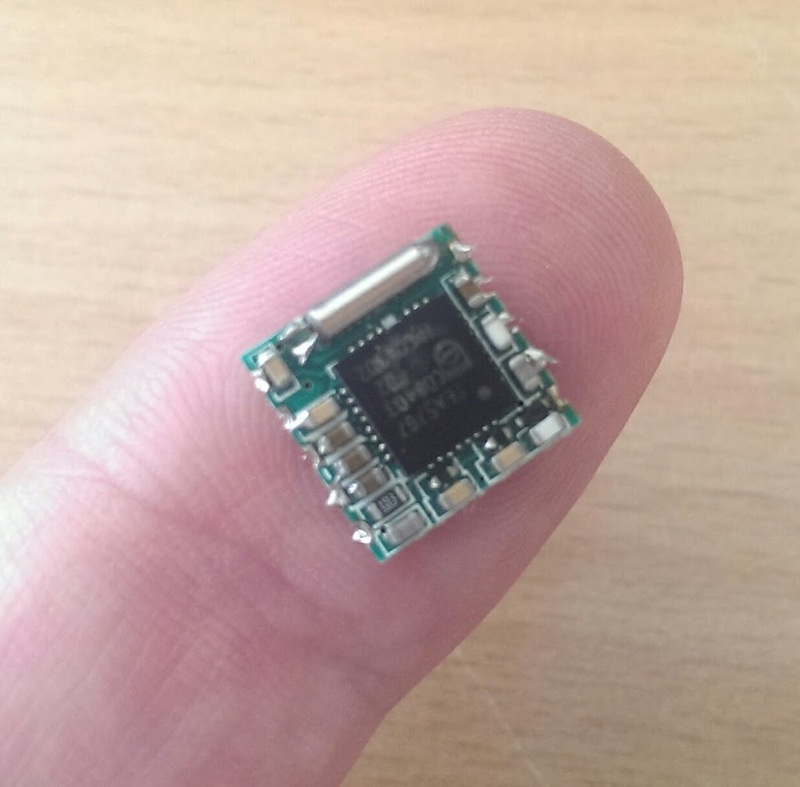 In a Chinese online shipping I discovered an FM receiver module with a very compact design (a print with about 12x12mm) on which a complete receiver is integrated. 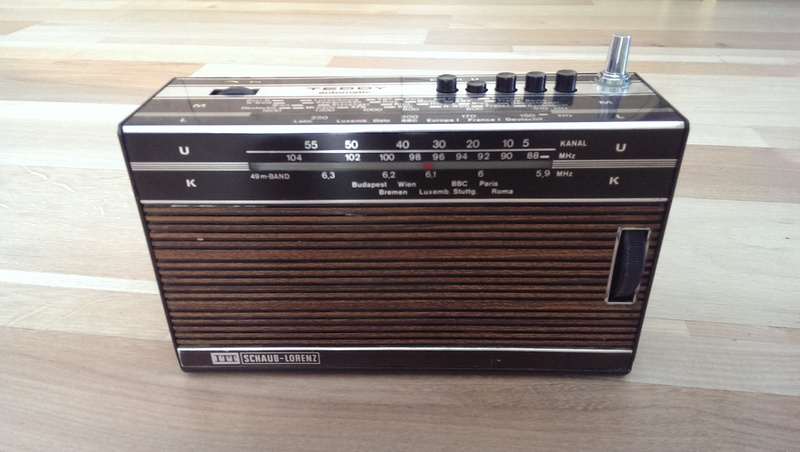 The module is called TEA5767 and uses the eponymous Philips FM receiver chip. The connections to the module consist of power supply, audio L and R outputs, as well as an I²C bus to control or set the reception frequencies and an antenna and Muteeingang. So ideal to realize a signal source for our amplifier. But that raised further questions. How should one generate the control signals for the I²C bus, how should the tuning of the transmitters be done, how should the device be operated by the user at all? For all these questions, there is a simple answer: Take a microcontroller. And as the apprentice likes experimenting with the Arduino UNO board, I decided to use an Atmega328, the Arduino UNO controller. 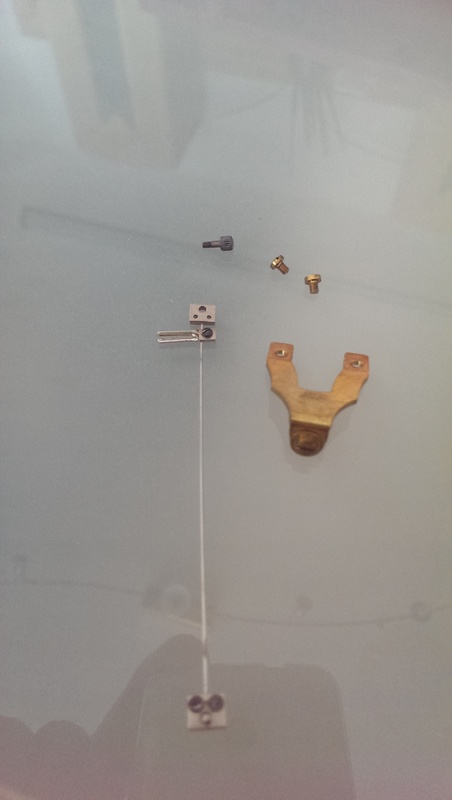 So we had to extend the circuit by a few components. The audio output of the FM module had to be pre-amplified. This was done by a small AudioOPAmp. 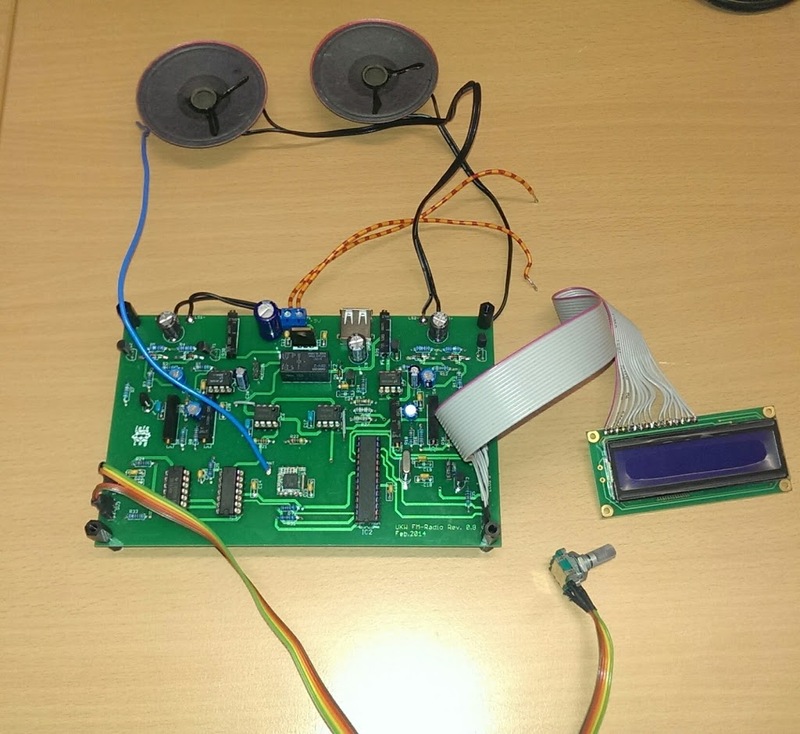 To realize the volume control via the microcontroller, simply a “digital potentiometer” X9C102 was used. It is controlled directly by the controller with a “direction input Up / Down” and a “count input”. 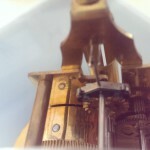 Internally, this IC consists of 100 resistors connected in series, whose “tap” is determined by counting input. So a simple matter to control the signal level of the preamplifier in 100 steps. 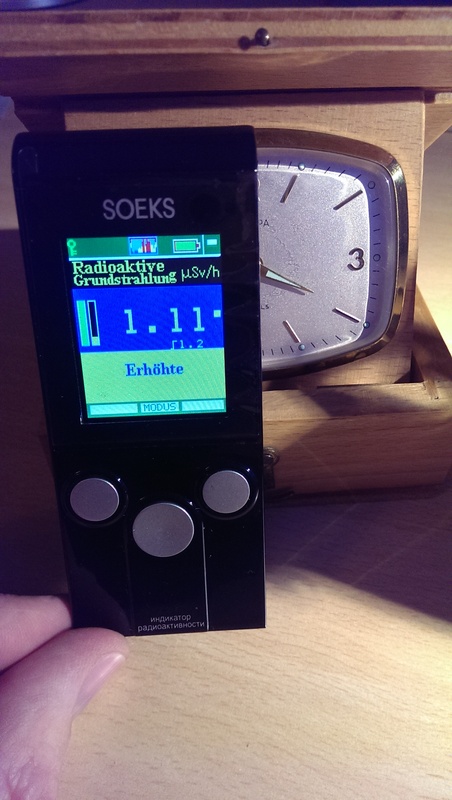 One project that had long been of interest to me was the detection of radioactive radiation. After the horrible powerplant accidents in Japan, this idea was recalled. I could still vaguely remember owning an unused counter tube somewhere in my old workshop cellar. – After some search it turned up :). Thanks to the Internet and the search engines, a data sheet was also found quickly. 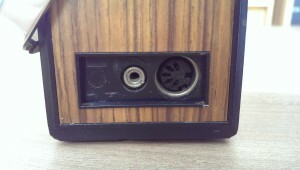 The counter tube is a ZP1400. A self-extinguishing Geiger-Müller counter tube with mica window. The tube is according to data sheet with neon and argon filled as quenching gas. The operating voltage is 400 to 600V. The capacity between anode and cathode is about 2pF. With these and other information from the data sheet i now can tinker a circuit to take the tube in operation. I have used this small project to introduce our apprentice to the board layout at the same time and to get acquainted with the creation of small programs on the Arduino Uno microcontroller board. In this post I introduce only the “old-fashioned” circuit, where only the impact of ionizing radiation is made audible to the count wire. (the typical crackling). 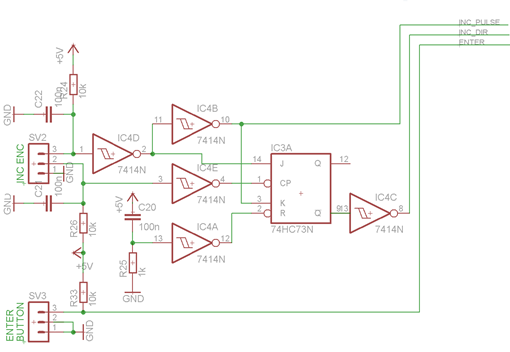 This circuit then provided the basis for the apprentice to realize the count of the pulses with the microcontroller and to visualize it on a two-line LCD. After the circuit board was etched and assembled, it was time to test. But with what? I needed some weak source. I held all sorts of items in front of the counter, but it did not change much. There was a cracking sound from the speaker four to eight times a minute. So I started researching the net again. And came across the term “radium color”. This is the self-luminous color with which the dials of old watches were painted, in order to be able to read the time even in the dark. This information gave me an idea. From my grandfather i inherited once an altimeter of a WW1 aircraft (manufacturer LUFFT) whose dial might have been painted with that kind of color. So get out of the showcase and held in front of the counter tube … The result can be seen in the video.